You are invited to attend the documentary film premiere and opening the exhibition “Time Links”. The documentary film and exhibition contains stories from the past of our participants of the project Dealing with the Past in Kosovo carried out by Action for Nonviolence and Peacebuilding (ANP) and Kurve Wustrow from Germany. The exhibition will be open on Wednesday, April 26th and will remain on view until 28th of April. frica, where on the one hand DWP is taken very serious but on the other hand social division among the population remains very strong, gave a good impression why participant’s contribution in documenting the past is very meaningful for Kosovo. However, a discussion initiated by the introduction of the theoretical concept of positive peace made clear that the sustainability of peace in Kosovo goes beyond DWP, an integrative society has to get build in many fields of society and remains a challenge for everyone in daily life. Nevertheless, DWP in Kosovo society is one key issue on the path towards an integrative society based on human rights. The willingness of the participants to document their personal stories in ANP’s DWP project was reaffirmed by many participants during this training. In order to reinforce this courage of ANP’s participants during the training, next to a wider context of DWP, ANP empowered the participants to psychologically open up stories from the past, they never talked about before. The training included methods to reflect in depth on emotions, describe and discuss better and more detailed about them, and deal with stress that might appear from the acceptance of heavy emotions. They could practically learn to understand their own personal body functions triggered by emotions as well as several techniques how to calm down after having emotions that are very strong. 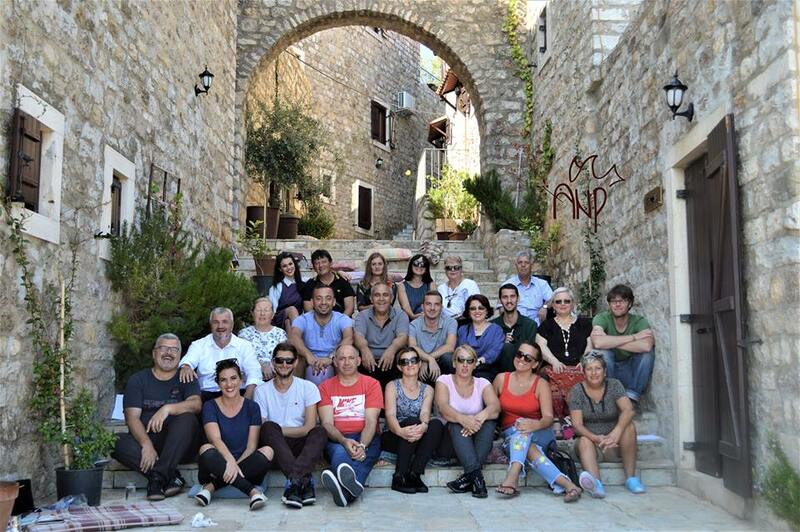 Altogether, 21 people from diverse communities in a created safe space were working on heavy topics for six days in a good atmosphere in Durrës, Albania. Everything was conducted in Albanian and in Serbian language to ensure the full participation possibility for everyone in this multi-ethnic training group. Everyone coming to Durrës with ANP could gain from this experience and everyone will bring back something to Kosovo’s society, joining the path towards stable peace. Download the book “The Soul’s Remembrance” with life stories of our participants from the project Dealing with the Past in Kosovo. The stories are written by members of diverse communities from all over Kosovo who participated in the project from 2014 until 2015. On the 18th of December ANP proudly published the book “The Soul’s Remembrance” containing life stories from people living in Kosovo. For a new culture of remembrance from a civil perspective on what happened in Kosovo’s recent past. On Friday ANP invited for the publishing event in the National Library of Pristina and many guests joined to get a copy of the book. 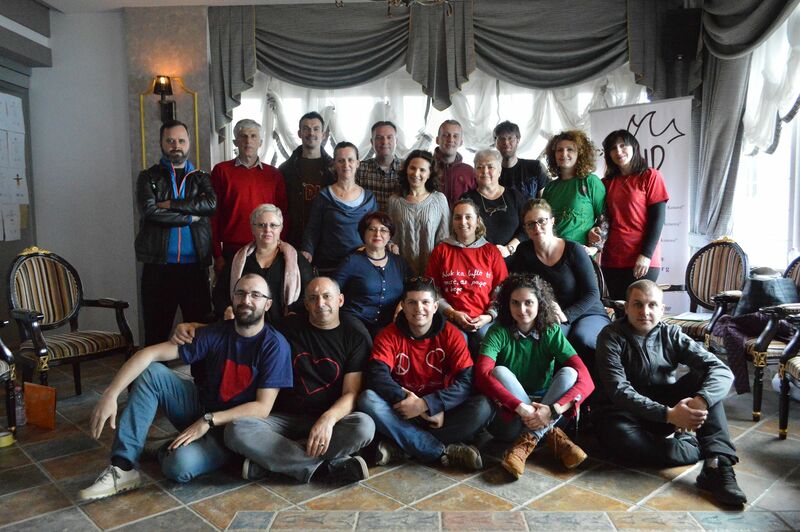 The event marked the end of the first project circle of “Dealing with the Past in Kosovo” in which a multi-ethnic group of people from diverse communities jointly worked on the topic of how to deal with the own past in a post-conflict society. The book is available in English, Serbian and Albanian language, if you like to get a copy, just contact us. Soon ANP will publish the documentary movie online about the project, which was shown on the event. Stay tuned! Related to our project Dealing with the Past in Kosovo ANP proudly presents the book The Soul’s Remembrance containing life stories of our participants. People from all over Kosovo took the courage and wrote about their most harsh and challenging time in the recent history of Kosovo. Come and get your copy for free, see the exhibition Circle of Memory again and watch the new documentary about the development of the project.